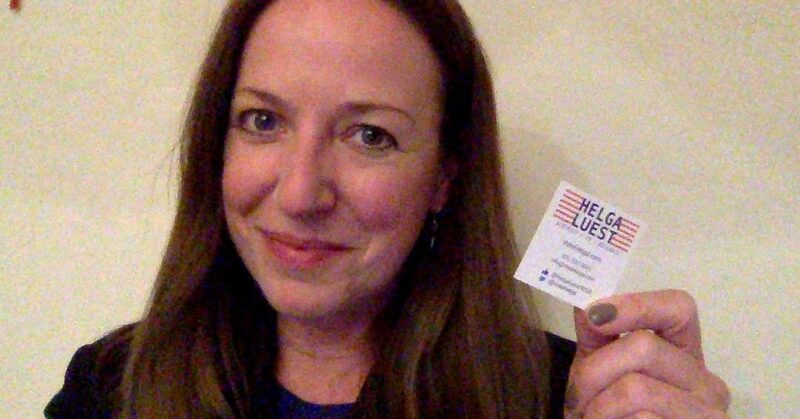 Rockville, MD (January 3, 2018) – Maryland Delegate Candidate Helga Luest announced today that she plans to run a modern, personable, and sustainable campaign. After considering the traditional approaches, she announced today her commitment to an environmentally-friendly approach to campaigning. At the core of Luest’s decision is her intention to lead this campaign in a way that matches how she, as a potential delegate, feels about the environment and community, from an accountable and authentic perspective. Joining the Trend – Luest hopes that making this campaign commitment will interest other candidates to think about and joining a trend that has hit so many other industries including news, fashion, building, and others. “If I am fortunate enough to be charged with making policy decisions about the environment, I need to consider how I am earning the right to do so and ensure that my campaign mirrors my policy positions as much as possible,” said Luest. To learn more about Helga Luest visit www.VoteHelga.com.